Complete and corrected notation for all the tunes. And some more tunes recorded in 1986. Music at the celebration provided by Dickey’s Disciples. Here are some tunes recorded in 1989 for the album that has recently been reissued on Vigortone Records. The CD will be on sale at the Fiddle Club of the World meeting (more info here). The following recordings are from 1986. The quality is not as good as the recordings on the CD. But Lotus was playing a bit stronger at the time. The first two tunes, but not the waltz, can be heard on the CD. Complete and corrected notation is here. Complete and corrected ABC notation is here. 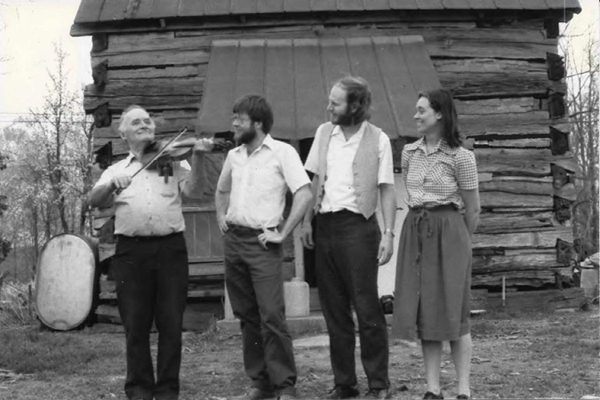 Honoring the memory of Lotus Quentin Dickey (1911-89), Dickey’s Disciples will play tunes from the new CD: Down the Pike and Other Fiddle Tunes from Orange County, Indiana. The four disciples who accompanied Lotus in recording these tunes will be present: Fred Campeau-banjo, Jim Nelson-guitar, Steve Rosen-banjo and Paul Tyler-guitar and mandolin. To make it look even more like a Volo Bogtrotters appearance, Lynn “Chirps” Smith will also join the fun. And after the concert set, we’ll make a circle and everyone can play. Some of Lotus’s favorites will be taught. 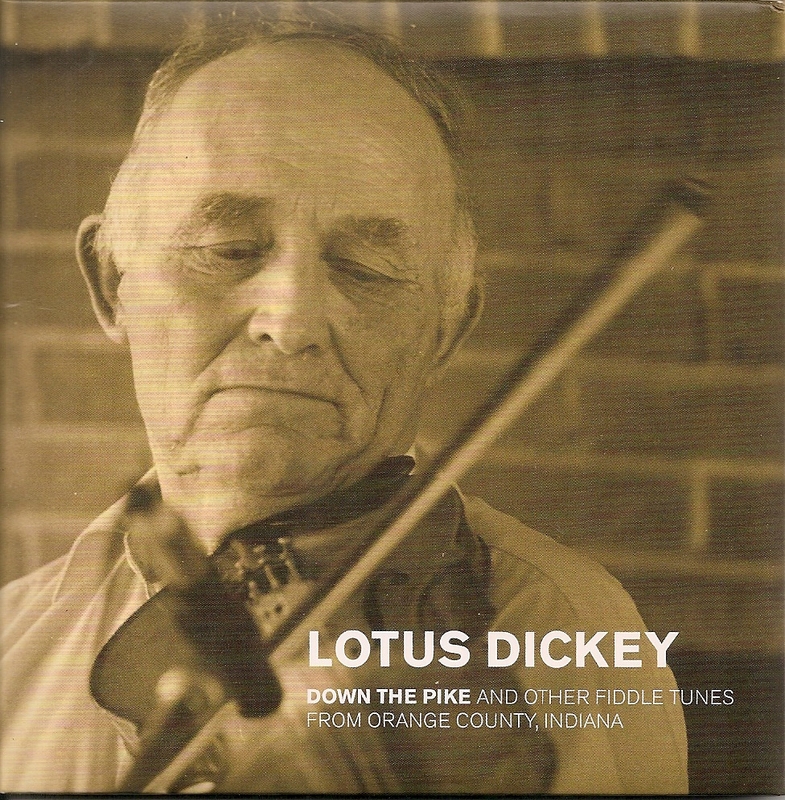 Lotus Dickey was incredible man, a brilliant song writer and powerfully good fiddler. 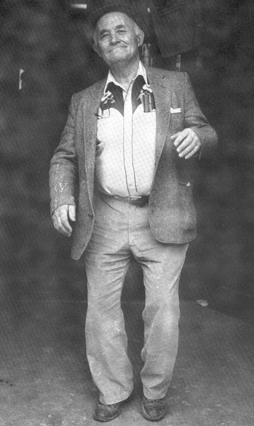 I was very privileged to spend a great deal of time with him from 1981, when I booked him for the Indiana Fiddlers Gathering in Battle Ground, up until his death in 1989. 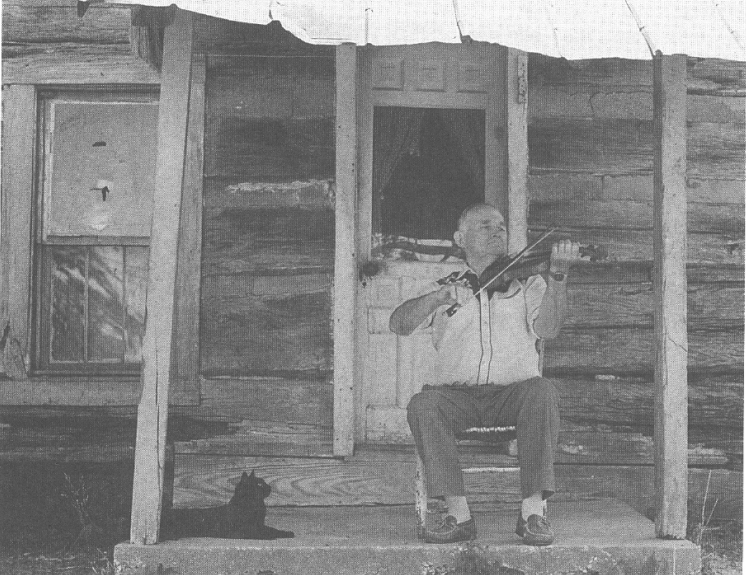 During that time, we made an concerted effort to identify and document all the tunes he had learned during his boyhood (the 1920s) from the old fiddlers who were his neighbors in Orange County, Indiana. The last time I saw Lotus, was a visit he made to Chicago in April of 1989. We set up an overnight recording session in the concert hall at the Old Town School of Folk Music and recorded about fifteen tunes with accompaniment by Dickey’s Disciples. The next morning, Lotus and I sat in front the microphones in engineer Flawn Williams living room and record another eight or so tunes, mostly waltzes. Those were magic moments. The public first heard them on a 2-cassette album issued by Marimac Records in 1992. Now thanks to Vigortone Records, these session have been re-mastered and re-issued on CD. 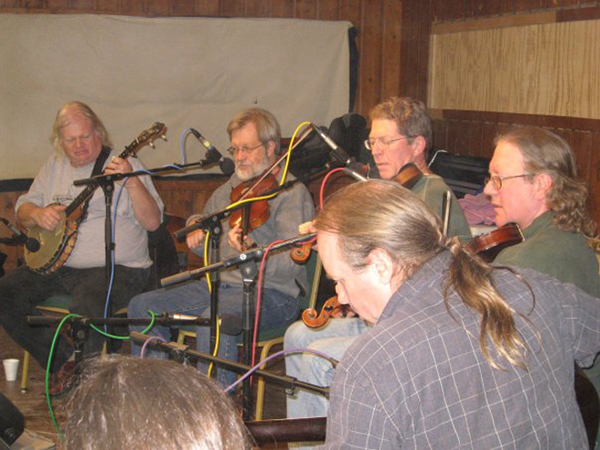 The CDs can be purchased at this Fiddle Club of the World meeting. Lotus Dickey in front of his cabin on Grease Gravy Road near Paoli, Indiana. To hear some tunes from Lotus Dickey & Dickey’s Disciples, go here and here. I’ve been thinking about Lotus Dickey. 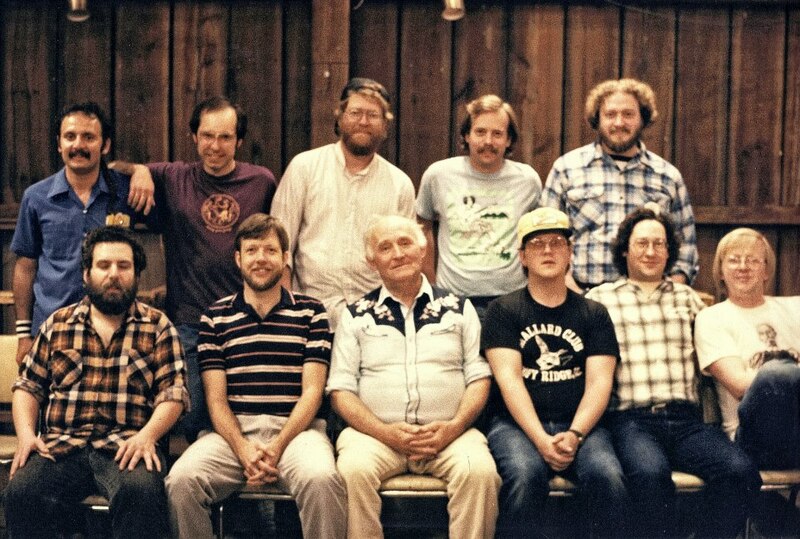 I just found this old photo of the Sugar Hill Serenaders, a band formed in the 1980s around Lotus Dickey to perform at school assemblies for Young Audiences of Indiana. Lotus’ tunes are always good to play. Here’s a couple. Besides Lotus, the only Sugar Hill Serenader heard on these recordings is your humble correspondent, who is trying to follow on guitar on the first two. 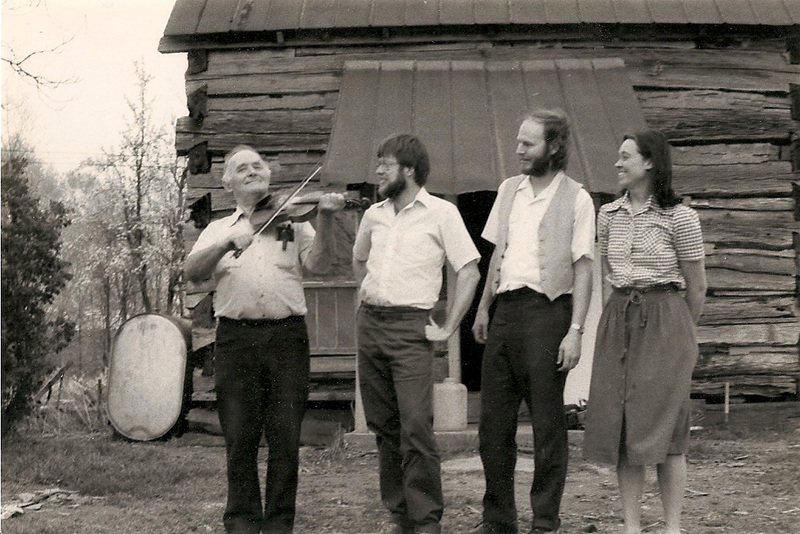 On the third piece, Lotus is accompanied by Linda Handelsman and Dillon Buston at the 1981 Indiana Fiddlers Gathering in Battle Ground. This trio appeared on an earlier post to this blog with a rendition of Oyster River Hornpipe. If you want to know more about Lotus, check out the Lotus Dickey Music website maintained by Grey Larson. 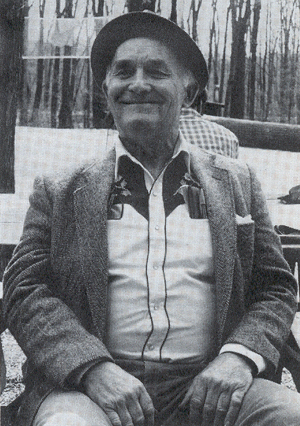 Lotus was a very fine fiddler. But he also made his mark as a songwriter. 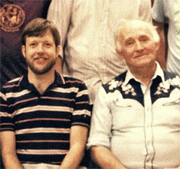 I remember him mostly as a sage elder, a keen eye on the world, and a good friend.